One wise woman said that the fun of thrifting is that you don't find your clothes, your clothes find you. When you go buy clothes at Target, you leave with the same clothes as everyone else who shops at Target, but when you leave a consignment store, you can find all sorts of things (including those target clothes for a third of the price) that you aren't expecting. Thrifting came with a stigma in our parents' generation (like you had to be a charity case to wear secondhand clothes). - Most importantly, secondhand clothes is better for the Earth. It keeps things out of landfills (the average American tosses 65lbs of clothes into the landfill EACH YEAR). It travels short distances, using less fossil fuels. And it comes in less packaging (did you know every piece you buy new has traveled in one of those plastic pouches? So much plastic waste). -Secondhand clothes saves you money. That you can spend on plane tickets, or cool meals, or any number of experiences more memorable than a shirt. - Secondhand clothes have less ethical baggage. The companies who import their clothes so they can have terrible labor standards won't get a penny of your money. If you believe in ethical labor, buy most of your clothes used to save money for quality, fair trade or domestically-made items. 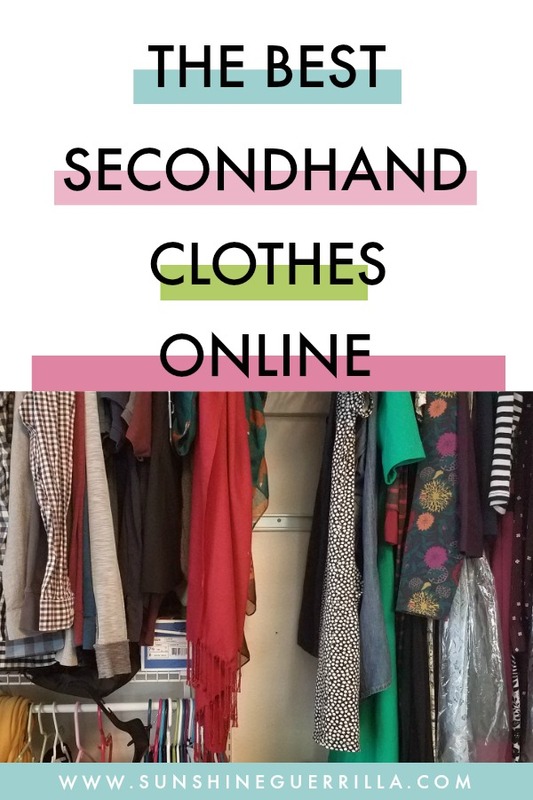 - Secondhand clothes gets you out of the consumerist grind of fast fashion. If you are shopping secondhand, you are taking a peripheral approach to trends that change too quickly or clothing that wears out instantaneously. It helps you shift your paradigm about the value of a garment and what makes it great. - Secondhand clothes allows you to cultivate a REAL personal style. Every mall carries the same basic stuff, keeps up with the same basic trends. Thrift stores have way more variety. Stepping away from the relentless changing of trends, you can think about what you WANT to look like, not what you feel you are supposed to. Can you tell I think thrifting is the best thing ever? Because I do think that. A lot. 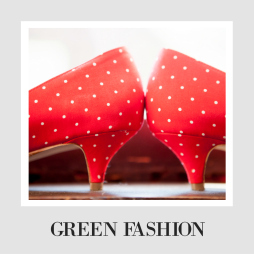 Also perfect solution to staying stylish and eco-friendly? Renting and borrowing clothes. The sooner you shift your mind away from the assumption that you have to buy it new from the store, the more money you can save. Renting means you can get something high end for cheaper than buying something not nearly as nice. The problem is, if you live somewhere with little or crappy thrifting available, you may be feeling a real shortage of thriftastic goodness. There may just not be much to see, and you will start to think secondhand clothes are mostly a waste of time. Thank goodness for the internet, because you still have nearly endless possibilities out there. You just have to know where to look. Or, I can tell you. Here is a list of the best places to buy and swap clothes. Need it for a one time thing? A wedding or special event? I have lots of amazing renting options too. Let's get to it. Huge resource for fashionable clothes. It is easily searchable and updates often. A smaller resource (about 400 items for women's clothing) but it could still have exactly what you need. Ebay can be GREAT for clothes, especially if you know just what you want. I see thousands of finds for Frye boots and even more for converse shoes. It also works perfectly for Halloween costumes- you can find anything on here. You can find great, smartly-curated vintage stores on Etsy. Definitely more expensive, but worth checking out. Tons of stuff, most of which is at least 50% off. Well-organized so you can find what you want quickly.Probably the widest selection. Similar to Poshmark and Asos marketplace. Stylish and name brand items. I haven't bought anything here yet, but it's worth it to browse. We will talk more about this life-changing site later, but there is yet another gem hidden in this gem- their clearance section. I have bought higher end clothing there than anything I could afford brand new (a Shoshanna and a Free the People Dress). They sell all kinds of high end clothing, jewelry, and purses for 75% off, because the items have been very gently used. I keep an eye out for when more casual stuff goes up, but you can find all sorts of things. Check. It's pretty awe-inspiring. You know when you run to Target and end up with a new cheap and casual dress? You can get those here, for a third of the price. They have fancier things too, but you can find a lot of great really cheap stuff here. I mention Thred Up daily, because I LOVE how easy and accessible they have made thrift shopping for women and children. If you don't love to browse, thrifting can be such a pain, but this really changes the time-commitment for buying used. Can't find what you are looking for? Check here EVERY TIME before you give in and buy it new. If you haven't yet, get to it! The most high end of the secondhand sites, Tradesy offers things that are really fancy. A lot of the price tags would originally have been over a thousand dollars, so you certainly save a ton of money here. Perfect if your knees go weak for a particular designer. Wants to be known for easy buying and selling, because you can just photograph the item and post it. Mostly I see sweatpants and lower end brands (please friend, skip the Old Navy unless you really love it. That stuff isn't built to last). Facebook may have a lot of demons lurking, but you can do good there as well. It has tons of clothing trading (and buying/selling) groups FatToo, Plus-Size Vintage Buy Trade Sell, Lularoe Swappers, Rockabilly Clothing, Buy, Sell, Swap, and Maternity Clothes Swap. So many groups! Local groups are often common, so check what is near you! I love rehash because they have an actual environmental mission. They have 45000 members and 10,000 items already, so something you want is already there. Plus, you can meet other people out to save the world! 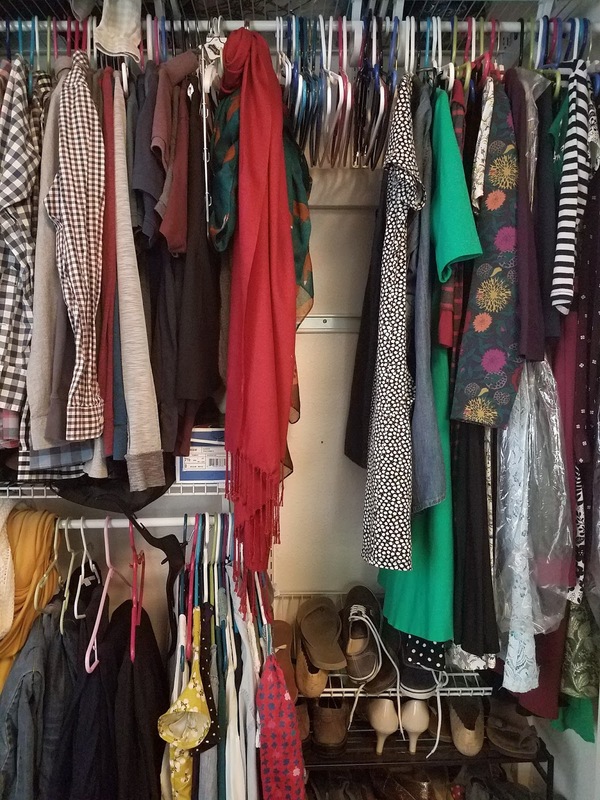 Tons of clothes you can swap, buy, or sell with women all over the world. Great way to refresh your closet without spending money or adding textile waste. Jewelry, aimed towards weddings, but could be good other times. Another great resource for high end stuff, which you can rent or share. The only thing I love more than secondhand shopping is secondhand gifting. The Buy Nothing Project has 2000 groups all over the world. In the hyper local groups, neighbors can request things or gift things. Everything is freely given. This includes clothes, and neighbors can share clothes. I have lent out maternity clothes, accessories for Halloween costumes, all sorts of things. Buy Nothing makes the world a better place and saves us thousands of dollars a year. If you don't have one, join them. If your neighborhood doesn't have one, team up with a friend and start one. The Frock Shop has an actual brick and mortar store in Chicago, but you also ave lots of rental options online. Le Tote ingeniously combines curated style boxes with clothing rental. You keep the box they send you, return everything when you are done with it, or you can buy things you fall in love with. GENIUS. 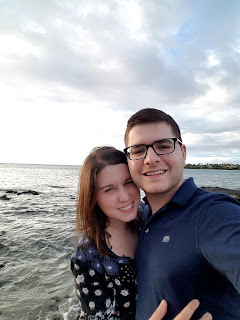 Ok, the website is not that impressive, but rental maternity clothes is the best thing I have ever heard. You will never need your materinty clothes again post-kids, so why not just rent them and save tons of money? This site allows you to rent high end clothes, mostly dresses, for a tiny fraction of the price. You can choose the number of days you keep it, and can rent in two sizes to be safe. I so wish we had this when we shelled out big money for cheesy dance dresses. If you are in the dance season, wedding season, or just have lots of events coming up. I know I like getting something special for big events, but then I never wear those dresses again. This is so much smarter. Where do you like doing your thrifting? What kinds of things do you buy secondhand? Or, if you don't shop secondhand, why? Thanks for sharing! These are all good finds. I never thought about the impact on the environment. These are great to really get your style going when fashion changes so often. Thank you for sharing. Very interesting share! There is so much information and it really makes sense to be sensible about your wardrobe, but I personally never really thought much about what I buy and how much!! I love finding great deals for stuff second hand! So many times people sell stuff they have never worn too! GREAT POST! I love thrift and second hand. It's the best!!! I love your list of online places. I seriously only knew of thredup. Thank you! awesome tips! As someone who could really care less about the seasons trends, It sounds like second hand shopping is where it's at! 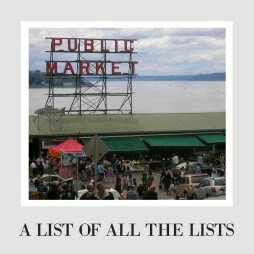 I'm excited to check out the sites you listed!